The Elite Rectangular Shipping Case fits all sizes of Pop Up Displays and Hop Up Displays! 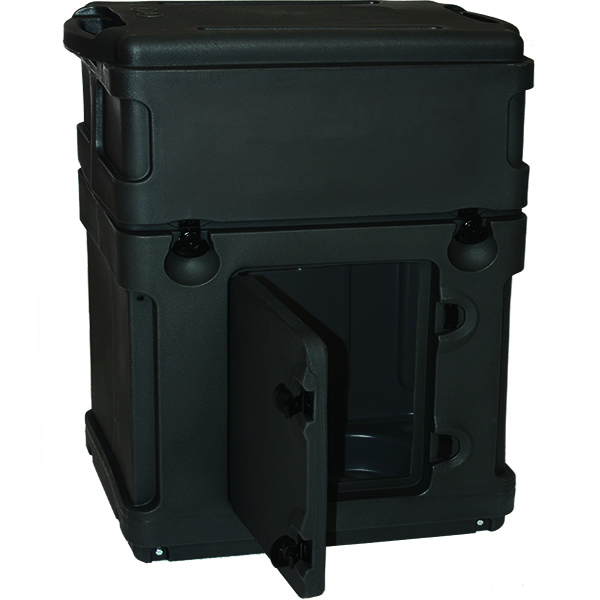 The molded plastic design allows this case to double as a podiun with an access door during your event! Tilt wheels and sturdy latches make this case easy to use and transport, and UPS and Fedex shippable. This case converts to a podium with an optional Fabric or Graphic wrap kit, sold separately!